Both OSHA and the FCC require that individuals with exposure to RF signals in their work environments be aware of the safety issues and how to properly mitigate them. Our RF Safety Notes can give you more detail about what is required and why. 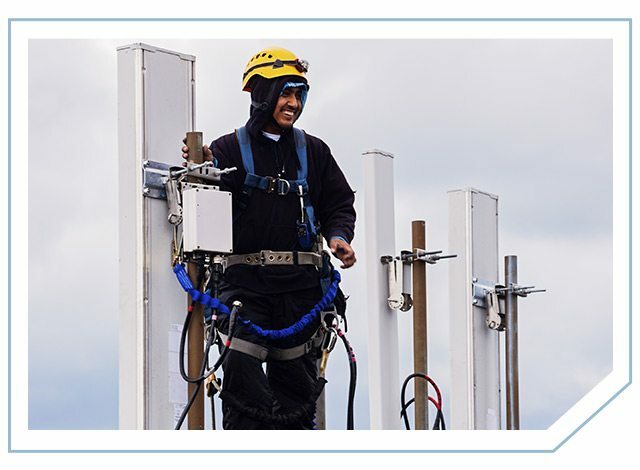 In addition to our services that help companies comply with federal RF regulations, SiteSafe offers Peoplesafe® 6.0, our comprehensive RF Safety and Awareness Training program designed specifically for companies whose employees and contractors work on or near transmitting antennas. The web-based Peoplesafe® training is delivered as an e-learning course, available to any student using an Internet connection. The course walks students through various modules followed by a comprehensive test, and upon successful completion of the course examination, participants can print a Certificate of Completion. SiteSafe also offers its RF Safety and Awareness Training in a traditional classroom format. Sessions are conducted by knowledgeable instructors well versed in RF health and safety. Training is conducted by a lecture followed by a Q&A discussion, and then a final examination. We recommend limiting class sizes to no more than 20 students, to permit intensive training. Personal safety is extremely important when working in an RF environment. To complement our RF Safety and Awareness Training program, SiteSafe offers personal RF monitors from FieldSENSE. Designed specifically for the mobile industry, FieldSENSE 2.0 is a cost effective and easy-to-use solution for all personnel working in an RF environment. More than 25,000 professionals have been trained using Peoplesafe®. Let us be a part of your safety program today — contact a SiteSafe Account Executive for more information and pricing.